Think of your website as a house, and pages as the rooms in it. “Page templates” are a room’s decor and layout. See, just as not every room in a house looks identical, not every page on your website has to look identical, either. That would be boring! 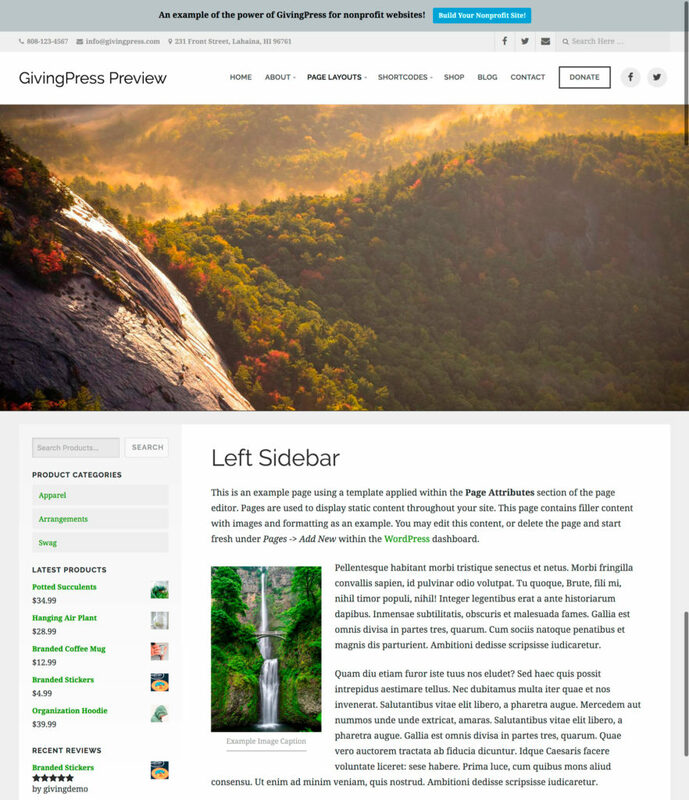 When you add a page, GivingPress automatically defaults to a beautiful, simple layout. However, if you want to take your page to the next level, that’s when templates come in handy. 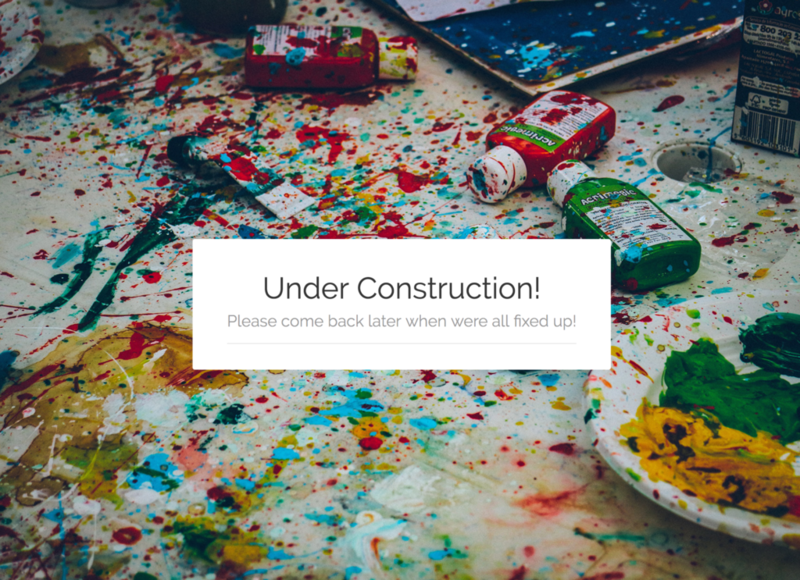 Page templates help make your website look a whole lot more interesting (therefor increasing the likelihood of visitors to stay on your site longer and maybe, you know, donate)! 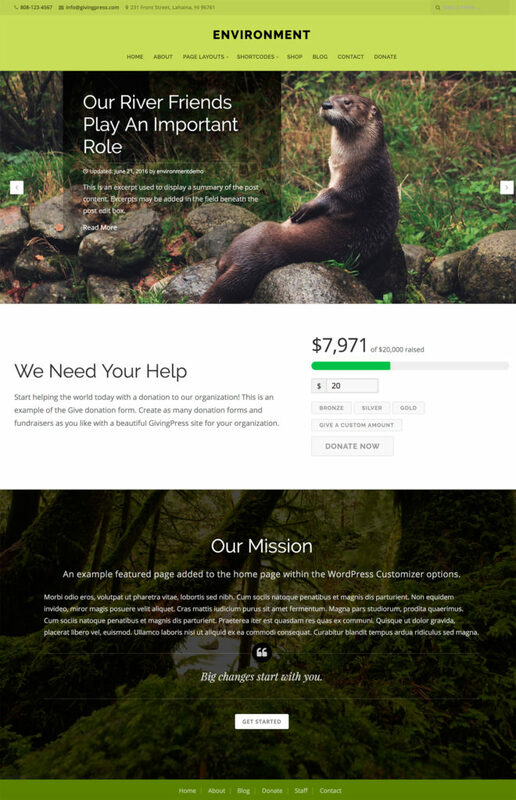 Here, I’ll give a brief description of each GivingPress page template option. This is an example of the Archive page template. Allows you to create a “site map” for SEO purposes and navigation. The site map has lost popularity over the years, but if you’re old school, you might consider it a necessity! 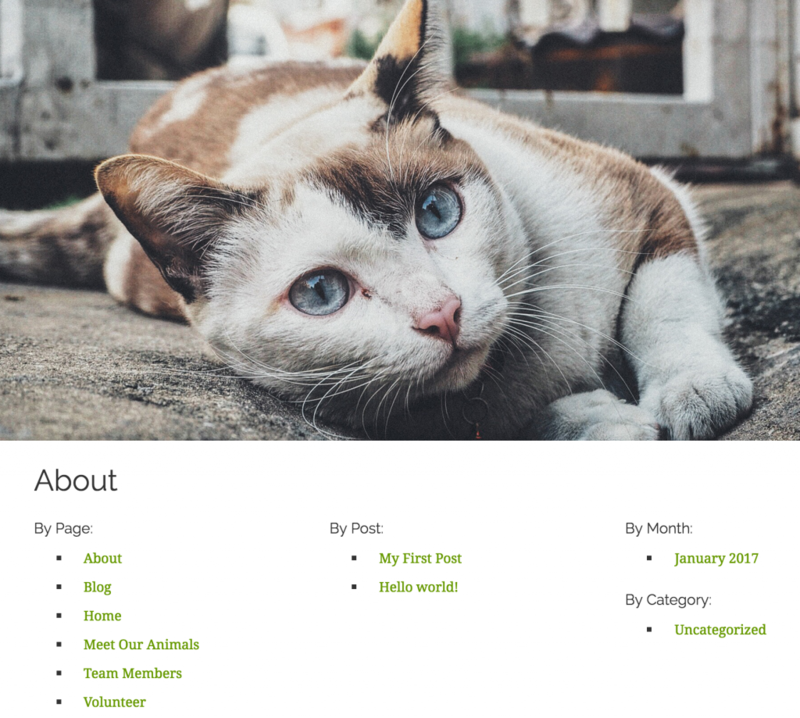 This is an example of the Blog page template. Add title and featured image (optional). 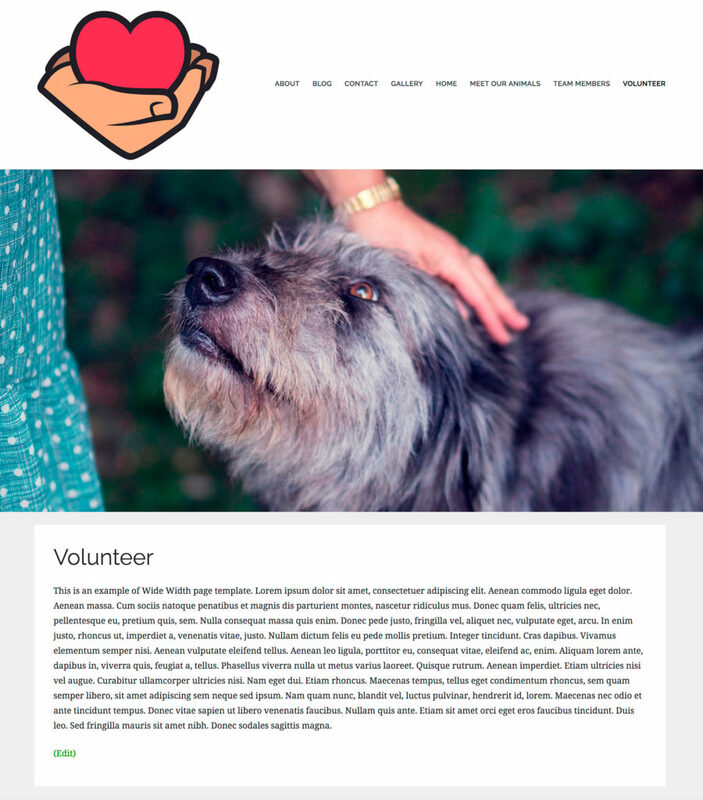 This is an example of Full Width page template. 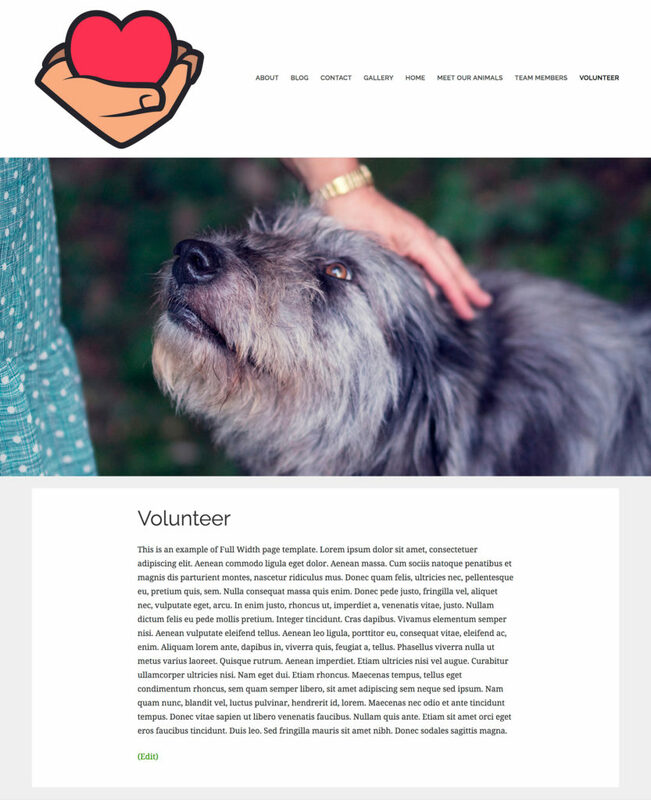 This is an example of Wide Width page template. 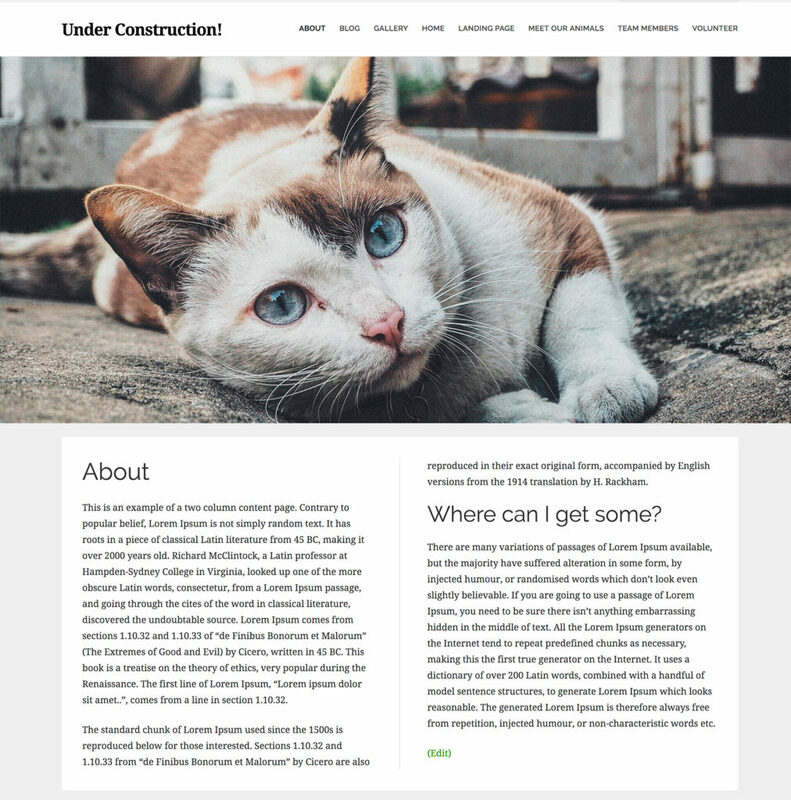 This is an example of a Home Page, using the Home Page template. Used to designate your chosen page as your Home Page (the very first page visitors are directed to when they visit your website). If your website were a book, your Home Page would be the cover (the other pages would be, well, pages). 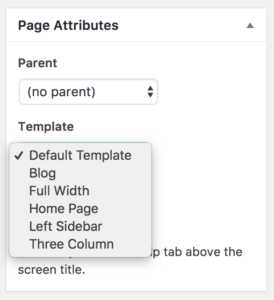 While you may choose to create a separate page called “Home” to display in your main menu (this way is preferred by many for better organization), it is not necessary; you can apply this template to ANY page. This is an example of a Landing Page using the Landing Page template. 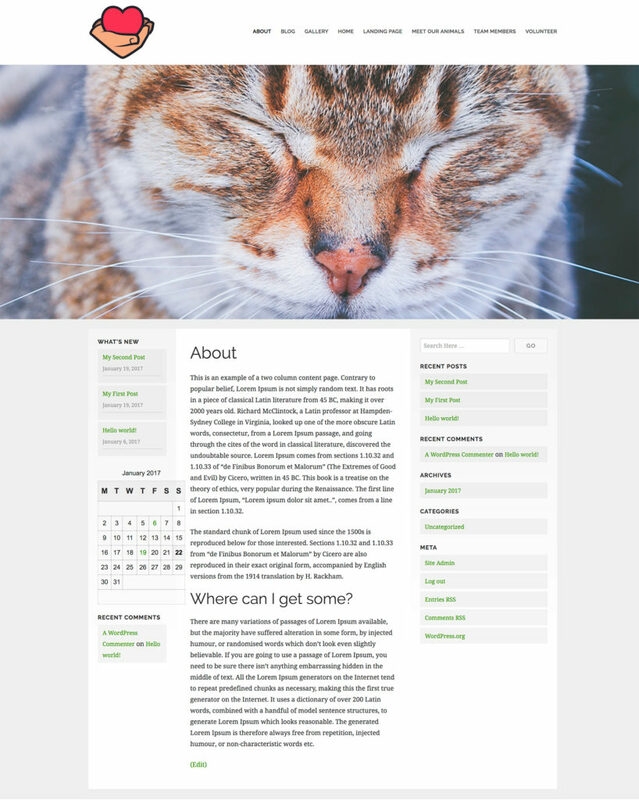 This is an example of the Left Sidebar page template. 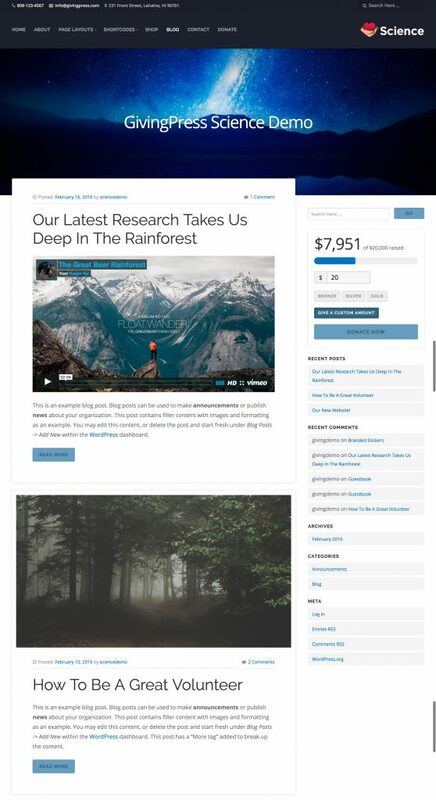 This is an example of the Projects page template, displayed with two columns. You can choose 1, 2, 3, or 4 columns. *Note: You can customize your projects layout within the customizer’s Advanced Settings. This allows you to choose the number of columns you would like displayed. Add as many images as you want! 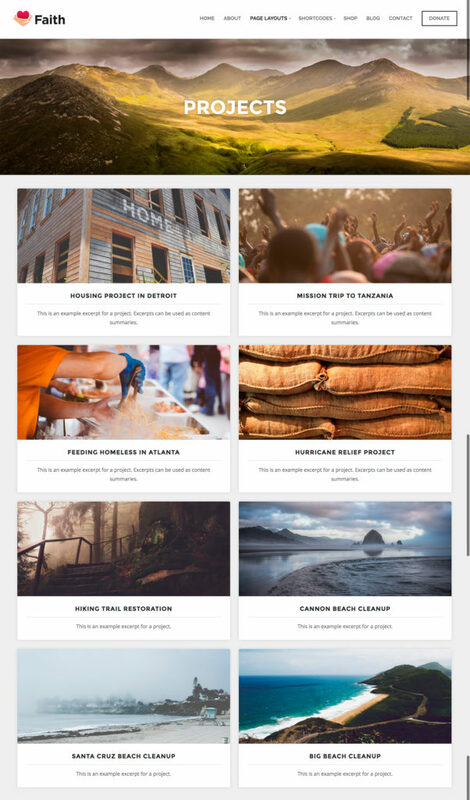 GivingPress makes it very simple to add a slideshow to your Home Page. (note: you can add a slideshow to other pages, too). Each slide is a featured image with the option to add content on top of the image. 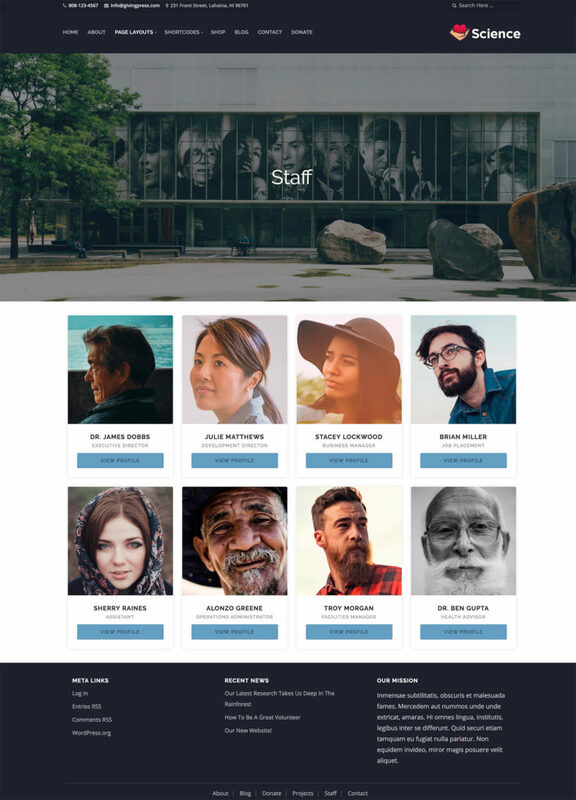 This is an example of the Team Members page template used for a staff page. Add personal links to social media or email within suggested fields by copy/pasting URLs. Add a descriptive phrase within Excerpt field. Add an order number in Order field (this is the order in which each member’s profile will appear on your Team Members page). 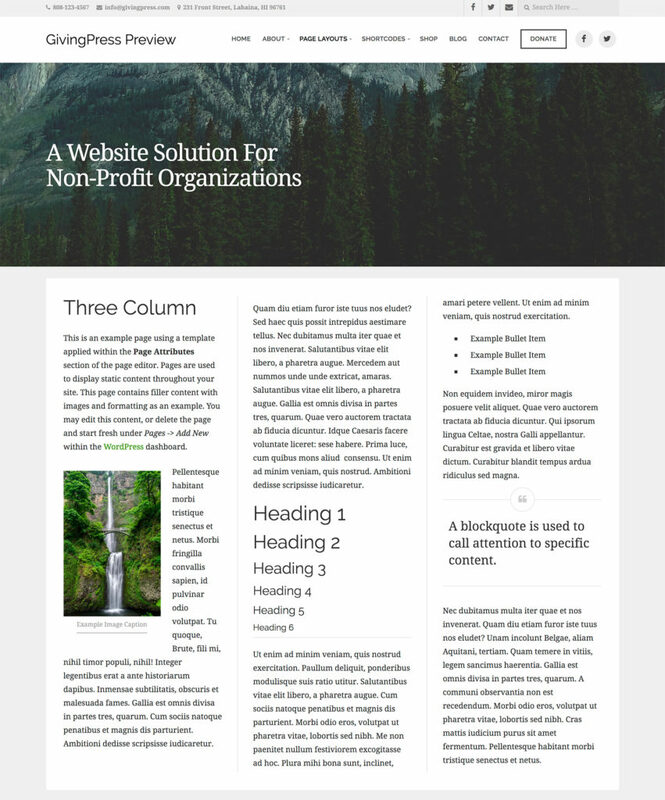 This is an example of the Three Column Content page template. It divides your content into three even columns. This is an example of the Two Column Content page Template. Content is divided into two even columns.